April | 2008 | Cag97's Clubpenguin Site! 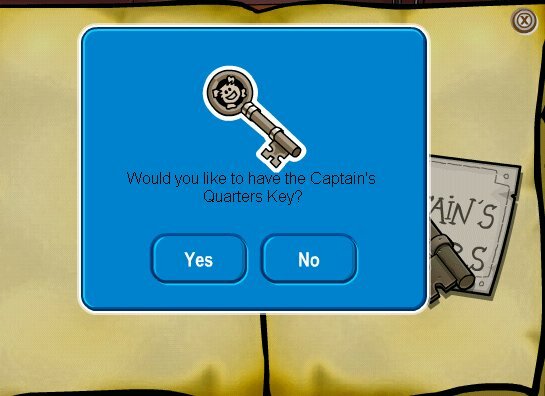 Hi everybody!Well there’s new rooms on the Migrator!CAPTAIN QUARTERS!AND THE TOP OF IT!But you need a key for the Quarters.It’s located at the back of the Rockhopper Journal in the Book Room.The Quarters is lots of fun.So enjoy them because I did!O, and Rockhoppers key is a really cool looking pin!Well, thats it for now.Cag97 out!Bye! 1.There’s a party celebrating Rockhoppers arrival.2.New Sports Catalog.3.New pin at the Ski Village.And much more!O and we will get to go to Rockhoppers Quarters!But you have to find the key.So enjoy the party!The first time I went to this party, my sound was broken!So I could’nt hear the music!LOL.Hopefully you don’t have this same problem.Well, that’s it!Bye penguins!Cya! Yes!Finally, Rockhopper is coming again!After months and months and months he’s coming.He has’ntcame because his ship was destroyed.But that’s fixed!So basically, everything is back to normal.He’s coming in a little speedboat.LOL.O and, Yarr the puffle is coming with him too.Can’t forget about Yarr!LOL.The day Rockhopper and Yarr came back, there’s a celebration for their arrival!Well, that’s all I had to say.Here’s a picture.Bye everyone!